Some people have motion sickness with Oculus Rift and HTC Vive, some people don’t. I’ll give you 1x different techniques to help you combat nausea. When we had only Oculus Rift DK1, people were really unhappy with the sickness it gave to them. Oculus saw that issue as a big threat and started to develop DK2 with a much better display. LCD was replaced with OLED. That reduced motion sickness by a lot. Although LCD screen on DK1 had some advantages like lower electricity consumption and a brighter screen, OLED pros outweighed everything that the previous model had. And it helped! By the time DK2 was distributed to people, motion sickness was a much smaller issue because of the positional tracking, and a new screen. But it’s still an issue for some, even with CV1. It really depends on your level of tolerance to all kinds of nausea-inducing things. For example, when I got my Oculus Rift, I felt like I was immune to nausea and motion sickness. Nothing really got to me, not even some of the most poorly optimized games and demos for Oculus Rift. Even when I am drunk, I don’t get sick to a point where I want to vomit all over the place. It just doesn’t happen to me. But should we leave it at that? No, especially when we can combat it by using several tricks. Comfort is an absolute necessity if we want the VR world to go mainstream. How many times have you heard of people going into VR with skepticism and coming out to be believers? I read news about virtual reality day and night, and not a single day passes when I don’t see headlines in a style of: “VR is the future”. Currently, VR is in a standby mode waiting for newer technology, but the seed has already been planted. I believe 2020 is going to be the biggest year for VR. This is a year when the line chart will go up exponentially due to Oculus Quest getting a lot of attention. That’s my prediction. If people are going to feel any kind of sickness with the Rift, HTC Vive, or with Quest, they will think that it’s just not for them. That is why battling it is important for all the VR companies. Until Then, How Can WE Battle Motion Sickness? Blink when starting the movement. When you are standing in place, and you suddenly start moving, close your eyes for half a second and open when you are moving at full speed. We all know that weird feeling when you start the movement, and it feels like the brain is in jetlag mode. Some of us are used to it, some of us aren’t. Try closing your eyes. When you turn in-game, lock your eyes to one point. This is actually quite interesting. Some people report that they didn’t get any motion sickness until other people started to complain about it in forums. They were naturally immune because they didn’t pay attention to it. And the method our brain automatically uses is looking at one spot while your body (in-game char) moves. Same happens in real life, our eyes are not parallel with our body rotation. Use the standing version of the game, if possible. Luckily, most games that are out right now, offer only standing version. Yeah, you get tired, but the Touch teleport system truly is superior to any other movement. I feel for you if you want to play racing games. Since I am personally a huge fan of racing games, I can tell you that you truly get used to the madness. In the beginning, I didn’t really want to play racing for the sole reason of motion sickness, but over time the head just gets used to it. Move the character at the slowest speed. It can usually be done if you lower your FOV. But you know how people love their high FOV. To reduce nausea, making your character move more slowly does help a lot. If the game has some character speed options, it would be even better. Take breaks. When we play video games, you don’t even notice how fast time flies by. That is why it is recommended to take frequent breaks, so you don’t get a headache or get sick. Turn the fan towards you. Believe it or not, the room temperature plays a significant role in whether we feel sick or not. The flow of air towards you is refreshing and helps you endure nausea in VR. Close your eyes when the camera is not controlled by head movements. Sounds silly but it truly might help since motion sickness is eventually tied to a misunderstanding between body and brain. The body thinks you are moving, and your brain doesn’t. Don’t play games that make you sick. An obvious one, but since it does depend on how well the game was optimized for VR, blame can be put on developers to some degree. Choosing the right games to play might help. Make sure the Oculus Rift is correctly calibrated for your eyes. 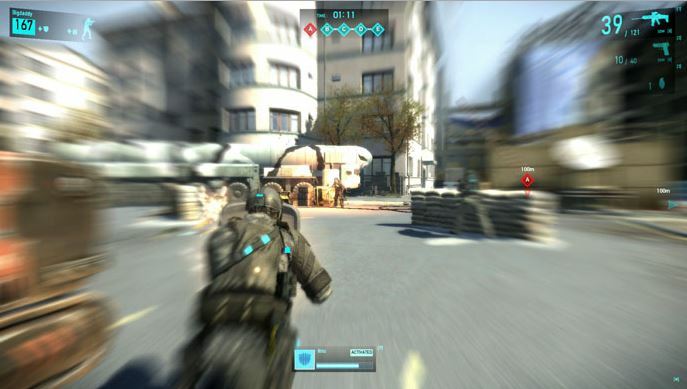 When you play games, you might get blurriness and you don’t know how to fix it. That is probably due to your IPD being too narrow or too wide and isn’t calibrated accordingly. That can also be a reason that gives you headaches, and in the end, motion sickness. Turn down the brightness. Some games have brightness adjuster that you can play with for your own preference. Although I am not sure how it helps directly, some people have reported it being helpful. Eat or drink products containing ginger. It has been used as a treatment for motion sickness for centuries. Take 10-15 grams of candied ginger an hour before your VR session. Although it does not work for everyone, people have been using it with a high success rate. You can read more about it here. Use Q/E in games when available. This is for games that work with keyboards, not Touch. Developers of Oculus Rift games and demos know that sickness is a real issue that needs to be addressed somehow. That is why when you play demos you’ll notice that you can turn your character in the blink of an eye when pressing Q or E.
Try not to move your head a lot. Since motion sickness is connected to movement, reducing your head movement left and right and up and down in one place can help you. However, rotating your head should not give any issues. Avoid moving backward and strafing. If it’s a fast-paced game like FPS shooters, it is quite usual for you to want to use strafing to avoid bullets hitting you. With Oculus Rift, however, it might induce sickness. Be careful with that. Get drunk. Weird option but some people have reported it does wonders. Just before putting on the Oculus Rift headset, don’t forget to consume a couple of beers, and you are ready to enter virtual reality. Buy a better computer. Getting a bad frame rate can also make you easily sick, and if you get yourself a beefy computer, nausea can be reduced. Try downloading some files. Check out these 2 Reddit posts (one and two). Apparently, this newly discovered method reduces motion sickness by a lot but can break immersion to some degree. This technique is being studied for improvements. Will keep you updated on Rift Info! Just get used to it. I am not saying it in a “get used to it, you little crybaby” way, I am literally saying that you can get used to it after a while. 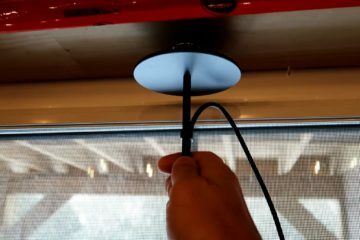 Countless of people after VR was released have said that VR motion sickness is not an issue anymore because their body has understood the VR effects it gives, and in time, dealing with it has become easy. How do sea travelers battle with sea sickness? They just do it again and again till they are accustomed to it. Same with VR. Updated: Added some more after getting more tips. 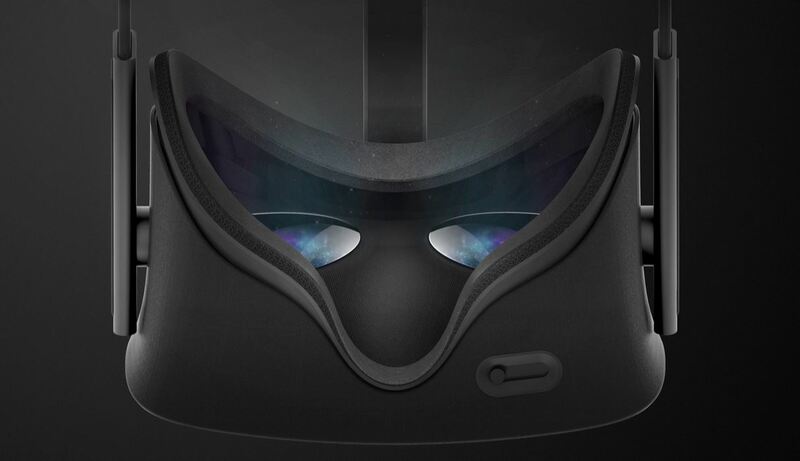 There may be many tricks to stop Oculus Rift motion sickness. I listed a handful of them. If you have any other tips or tricks that helped you, let us know down in the comments. I may add them to my list! Please consider sharing! It helps us out A LOT! This company, Otolith Sound, is working on a piece of wearable tech that prevents motion sickness related to autonomous cars, VR headsets and traditional travel. Initial testing shows that the device reduces the symptoms of rift sickness and greatly improves the recovery time. Forget all the tipps, it does not work! horizon because this will synchronize the felt movement with what you see. Using the G-MULATOR solves the problem of “seasickness” because the wearer of the VR glasses now also feels what he sees (like on a boat while looking at the horizon). I wouldn’t agree. There are many people who have tried these tips and it has helped them. Don’t spread misinformation.